Adding a rope component to your fitness routine is a great way to incorporate a full body workout. The thicker the rope you use, the more your hands and fingers will be challenged. Rope Fit is your one-stop shop for all of your fitness rope needs and get the most out of this versatile training tool. Heavy, durable ropes offer the ability to perform a variety of functional exercises. One of the most basic exercises that can be enhanced by a quality rope is jumping rope. Using one of Rope Fits ropes will make this exercise even more beneficial. A heavier, thicker rope makes the workout even more challenging. One of the biggest appeals to fitness ropes is an exercise called “battling.” This exercise is one that challenges both strength and conditioning. The exercise requires that you anchor the middle of your rope, resulting in two even ends. To perform this exercise, you grab each end of the rope and whip it up and down in waves. These exercises merely scratch the surface of what is possible with fitness ropes. 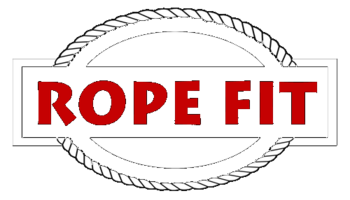 Rope Fit is committed to providing you with the best rope products available.